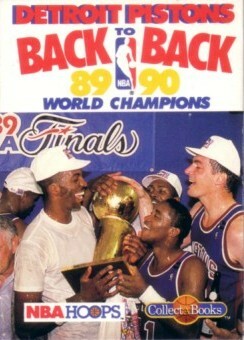 1990 Hoops card sized Collect A Book commemorating the Detroit Pistons winning Back to Back NBA Championships in 1989 and 1990. NrMt or better. ONLY ONE AVAILABLE FOR SALE.